For more than 110 years, the Municipal Building Clock Tower is both a city-designated landmark and listed on the National Register of Historic Places. 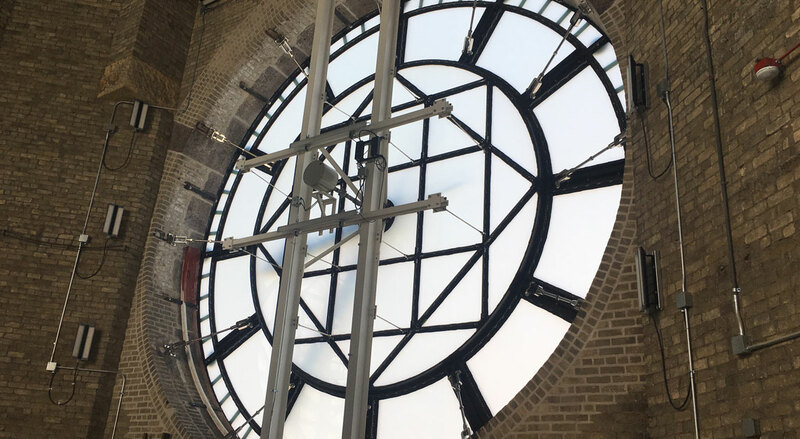 Its four clock faces are approximately 24 feet in diameter each. This makes it the largest four-faced chiming clock in the world. 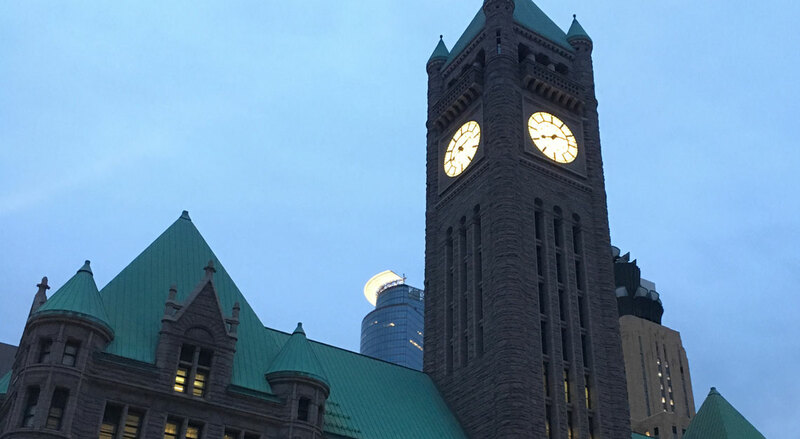 The $2.1 million dollar clock restoration project at the Municipal Building in Minneapolis involved the disassembly and partial salvage of the four existing clock faces. They were replaced with new clock faces designed to last another 100 years. 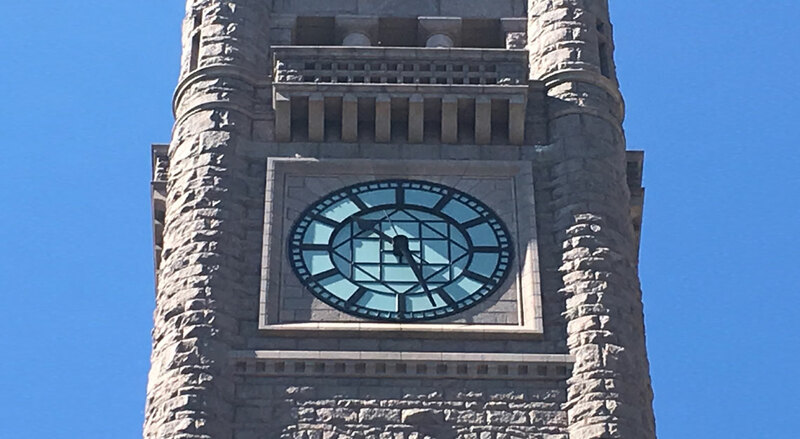 Thanks to these renovations, the Municipal Building Clock Tower should last another 100 years. See the coverage of the lighting ceremony below. We work closely with each client to plan & construct projects that meet their individual needs, timeline & budget.